We know golfers love the golf courses at Torrey Pines, but it seems people also think very highly of the resort there. The Four Seasons Resort Aviara offers "casual elegance in a natural setting accented by wildlife and wildflowers." So much so that once again, according to Travel+Leisure magazine readers, The Lodge at Torrey Pines is the No. 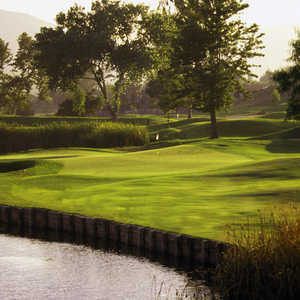 1 resort in the San Diego area, followed by the Four Seasons Resort Aviara. Last year, the two held the same positions and are both among T+L's 2009 list of the world's 500 best hotels and resorts. The San Diego area landed five properties on the list, up from three a year ago. The newcomers are the Hotel Coronado on Coronado Island, Hotel Solamar in San Diego and La Valencia Hotel in La Jolla. Dropped from last year's list is The Westgate, in downtown San Diego. Among U.S. states, California had the most properties on the list with 48, followed by Florida (28) and Arizona (15). Torrey Pines, where Tiger Woods last year defeated Rocco Mediate in one of the most dramatic U.S. Opens in history, is as spectacular as its golf courses, perched on a bluff overlooking the Pacific Ocean. Located in La Jolla, it is San Diego's only AAA "Five Diamond" resort, a distinction it has held since opening seven years ago. Part of Torrey Pines' formula for success, said General Manager Dan Fullen, is the staff. "We have worked hard from the beginning to provide an atmosphere of mutual regard and respect among our staff, and it shows in the caring and personal service they pass along to our customers," he said. "The environment they create at The Lodge is more like a private home than a hotel - and we work diligently to maintain that atmosphere." Modeled after Greene & Greene's famed Gamble and Blacker houses in Pasadena, Calif., The Lodge isn't big like many mega-resorts. It features 170 spacious guest rooms - including nine suites - more than 13,000 square feet of meeting and banquet space, and a 9,500 square-foot spa. One of the most obvious benefits of staying at The Lodge, however, is priority access to the golf courses, where tee times can be difficult for outsiders to get. 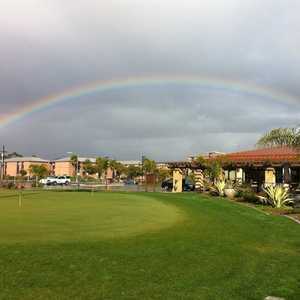 The Lodge is located next to the courses and is within walking distance of Torrey Pines State Reserve. The Four Seasons Resort Aviara , according to the magazine, is a "Spanish colonial-style property 30 minutes north of San Diego, with the area's only Arnold Palmer-designed golf course and easy access to the beach." The Four Seasons has 329 rooms, four restaurants and two bars and, of course, a full-service spa. 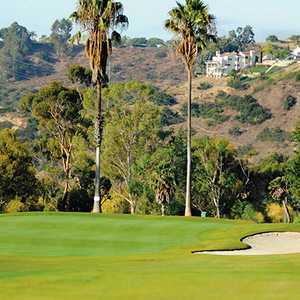 Guests can make their way to the Four Seasons Aviara Golf Club's two-story Spanish colonial clubhouse, then play the par-72, 7,008-yard golf course that winds around a natural setting of lagoons. The storied 1888 Victorian Hotel Coronado resort is located on 28 oceanfront acres on Coronado Island. The resort recently completed a $150 million upgrade that added the Beach Village, a private villa enclave. The 235-room Hotel Solamar is a 10-story property with a "chic, urban feel" located in San Diego's famed Gaslamp district. And finally, according to the magazine, the La Valencia Hotel is "a 1926 historic hideaway in the middle of the village of La Jolla, overlooking the Pacific, that exudes a resolutely old-world feel, with details like manually operated elevators." Click here to see T+L's entire list.